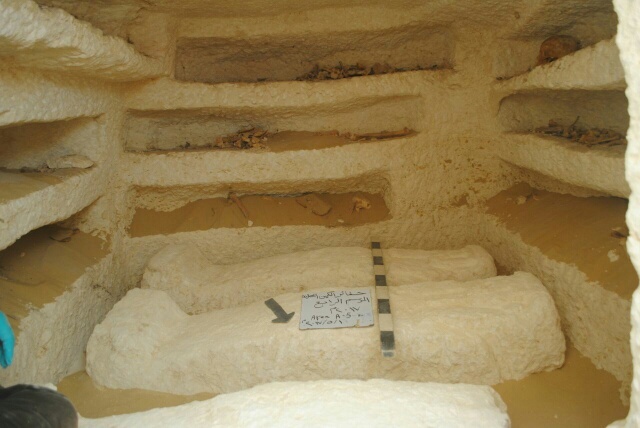 Three rock-hewn tombs from the Ptolemaic era have been discovered during excavation work in the El-Kamin El-Sahrawi area of Minya governorate, the Ministry of Antiquities announced on Tuesday. 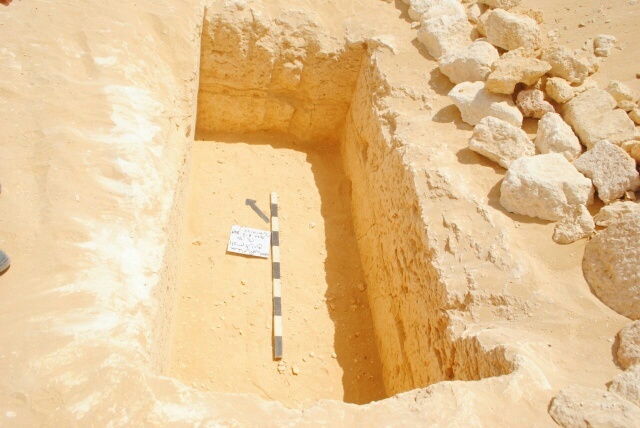 The discovery was made by an Egyptian archaeological mission from the Ministry of Antiquities working in the lesser-known area to the south-east of the town of Samalout. The tombs contain a number of sarcophagi of different shapes and sizes, as well as a collection of clay fragments, according to ministry officials. 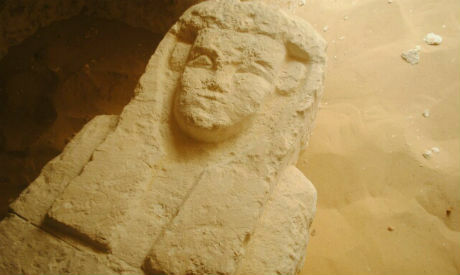 Ayman Ashmawy, head of the ministry's Ancient Egyptian Sector, said that studies carried out on the clay fragments suggest the tombs are from the 27th Dynasty and the Graeco-Roman era. "This fact suggests that the area was a large cemetery over a long period of time," said Ashmawy. Ashmawy describes the discovery as "very important" because it reveals more secrets from the El-Kamil El-Sahrawi archaeological site. 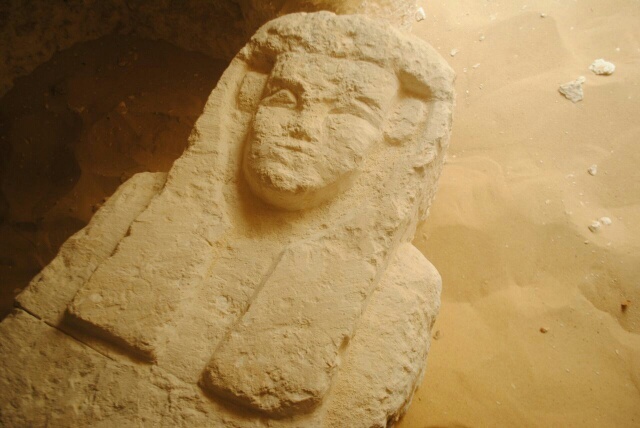 During previous excavation work, the mission uncovered about 20 tombs built in the catacomb architectural style, which was widespread during the 27th Dynasty and the Graeco-Roman era. Ali El-Bakry, head of the excavation mission,told Ahram Online that the three newly discovered tombs have a different architectural design from the previous ones. The first tomb is composed of a perpendicular burial shaft engraved in rock and leading to a burial chamber containing four sarcophagi with anthropoid lids. Nine burial holes were also uncovered inside. The second tomb consists of a perpendicular burial shaft and two burial chambers. The first chamber is located to the north and runs from east to west, with the remains of two sarcophagi, suggesting that it was for the burial of two people. A collection of six burial holes was also found among them, one for a small child. "This was the first time to find a burial of a child at the El-Kamin El-Sahrawi site," El-Bakry said. He added that the second room is located at the end of the shaft and does not contain anything except of remains of a wooden coffin. Excavation Works at the third tomb have not yet been finished. El-Bakry said examination of the bones shows them to be from men, women and children of different ages, supporting the notion that the tombs were part of a large cemetery for a large city, and not for a military garrison as some suggest. Excavation work started in 2015 when the mission unearthed a collection of five sarcophagi of different shapes and sizes, as well as the remains of a wooden sarcophagus. The second session began in October 2016, with five tombs were uncovered. Four of them have similar interior designs, while the fifth consists of a burial shaft. Work is under way to reveal more secrets at the site.